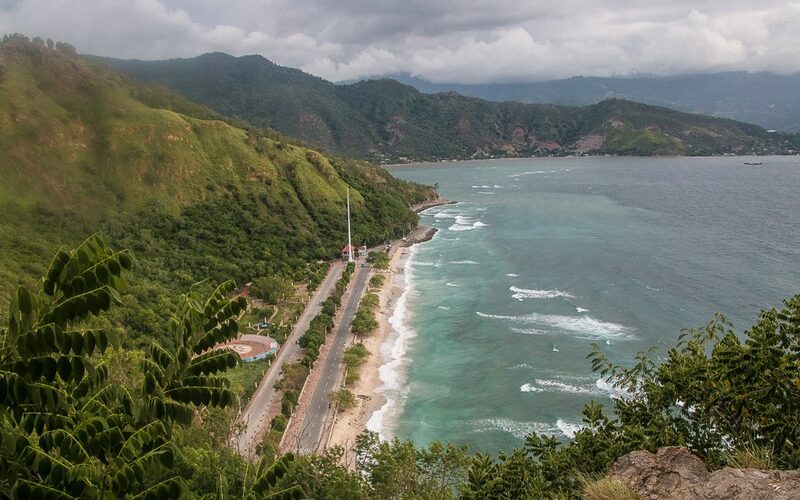 Dili is the coastal capital city of little known East Timor. It’s a city that sees few tourists, in a small country that occupies just half of the island of Timor at the far end of South East Asia. Dili is a city that sprawls chaotically along a spectacular, natural shorefront. There are white sandy beaches and dramatic coastal cliffs offering spectacular surrounding scenery, while offshore there are coral reefs and some of the most biodiverse waters in all of Asia. Dili sounds like it has all the credentials to be the perfect tropical, Asian getaway, but East Timor is known only for all the wrong reasons. 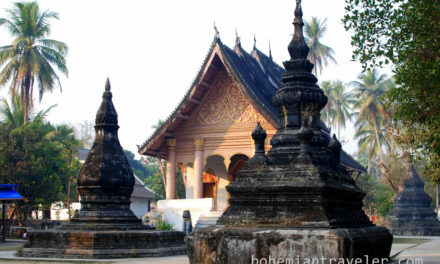 It’s the youngest country in Southeast Asia, having only gained independence from neighboring Indonesia in 2002 after a decades-long occupation which was preceded by hundreds of years of colonization by the Portuguese. It’s a country that is still struggling to find its place in the world. But there is a unique culture and history to discover in Dili, and scenery and wildlife that exceeds the best that the rest of Asia has to offer. 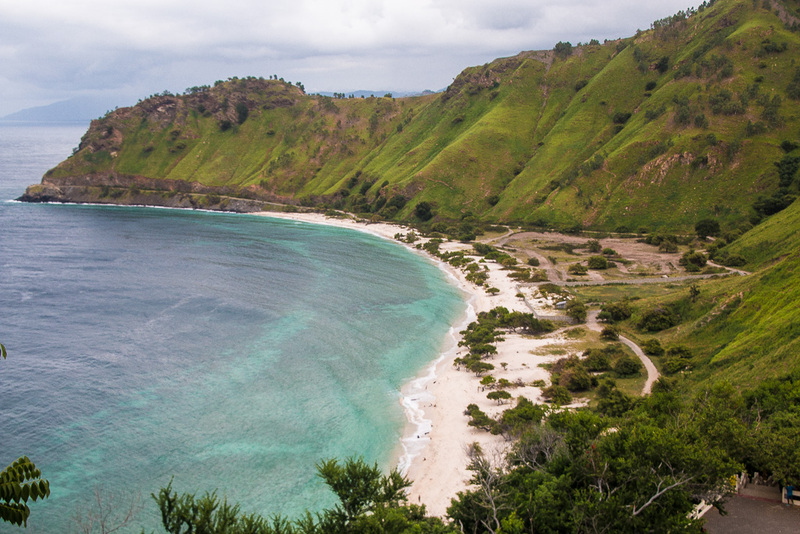 Dili is East Timor’s largest city, but a city where you are never more than ten minutes drive from the oceanfront. There’s an intriguing culture just waiting to be discovered in the capital: part Portuguese, part Indonesian and distinctly East Timorese. The best starting point to begin to understand East Timor’s long and generally unfortunate relationship with colonialism – from the Portuguese to the Indonesians – is to visit The Timorese Resistance Archive and Museum. It’s a moving museum that focuses predominantly on the country’s long struggle for independence from Indonesia, and an essential place to visit to learn how East Timor came to be in the position it is currently in the world. The Chega! Exhibition is another moving insight into East Timor’s struggle for independence. The exhibition is found in the cells and corridors of a Portuguese prison that was then used during the Indonesian occupation to hold political prisoners. 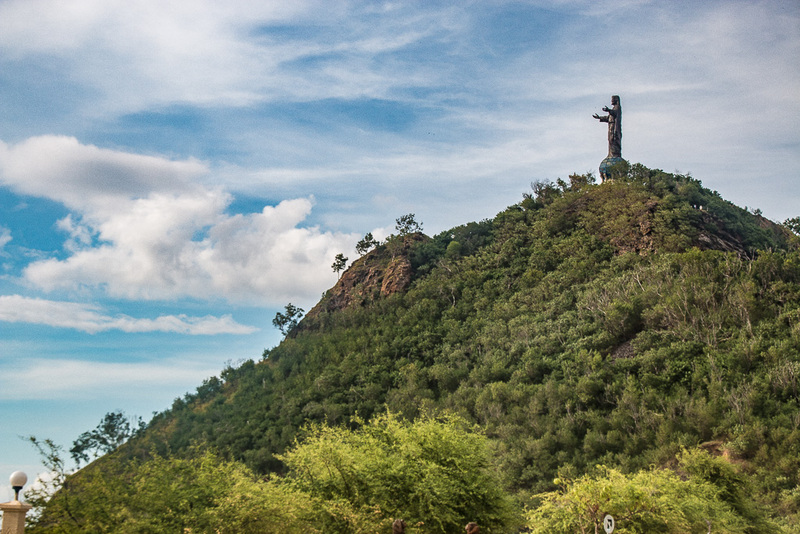 Christo Rei is a towering statue of Jesus Christ – you’ll find out soon enough in Dili that East Timor is one of the most Catholic countries in the world – and it’s a statue that dominates the coastline. You can hike the many steps that lead to the summit of the mountain where the statue is found for epic views over the city. The late Pope John Paul II visited East Timor in 1989 when the country was still part of Indonesia. To commemorate this occasion, the city built a statue of the Pope on one of the tallest hills overlooking the entrance to Dili. Dili is a coastal city, and much of it is built along the water, resulting in a long series of promenades, esplanades and simple footpaths stretching for miles. 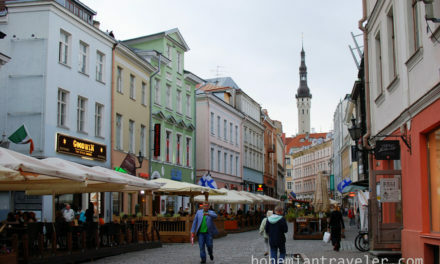 The liveliest area to take a stroll along is by the harbor, opposite the parliamentary buildings. 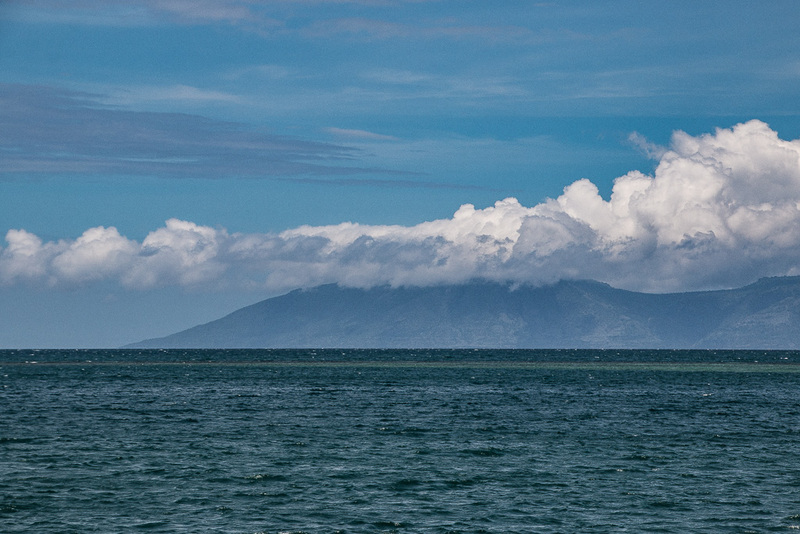 Atauro Island can be seen from almost anywhere in Dili. Its prominent peak stands out in the ocean and is just a two-hour ferry ride away from the city. Atauro’s coral is some of the most pristine in Asia, and the waters have one of the highest levels of biodiversity in the world. Obviously, it’s perfect for snorkeling and Scuba Diving. Dili’s accommodation scene is unfortunately sparse. The city sees little tourism and most options are generally overpriced as they cater to the generally unlimited funds of NGO’s and UN organizations. Recently though, more backpacker style accommodation is emerging which offers better value than many of the older established hotels. From the outside, Hostel daTerra doesn’t look like much, just a house down a small local side street in the middle of the city. It’s actually one of the most interesting places to stay in Dili though, offering reasonably priced dorms and a few private rooms. It’s fast becoming a travel hub, and the Portuguese owner is always there helping visitors to get around not only Dili but the rest of the country with his extensive local knowledge. Hotel Timor is centrally located, just a short walk from the harbor and in the center of Dili. It’s a bit frayed around the edges and definitely overpriced but for those looking for something more than a backpacker dorm, it’s a great, more upscale option to take for a few nights. Another solid option, at least on the budget end, is Dili Central Backpackers. This is one of the original hostels in the city – and still one of the only few! 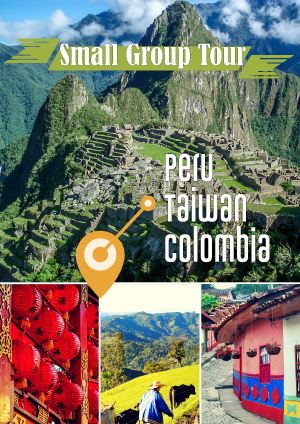 – offering basic dorms, rooms, and great travel information. East Timorese cuisine is a real mixture of Portuguese, Indonesian, and local flavors. There are hundreds of small, locally-run eateries serving up delicious, cheap meals. Look for the busy ones, and then just choose whatever you think looks good from the plates of food waiting to be served up. 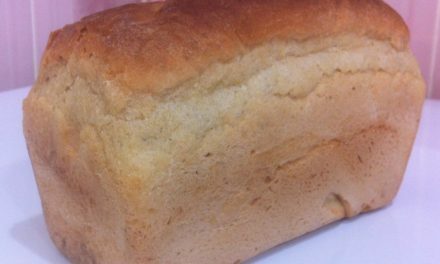 For more international food, head to the Timor Plaza Food Court. On the ground floor of Dili’s only large shopping mall, there are several well-priced and good-quality stalls and restaurants serving up everything from Malaysian Curries to Aussie style burgers. The best hostel in Dili is also a great restaurant too, and they serve up a delicious fusion of local and Portuguese meals every lunch and dinner. They also hold live music nights and movie screenings in their large garden. 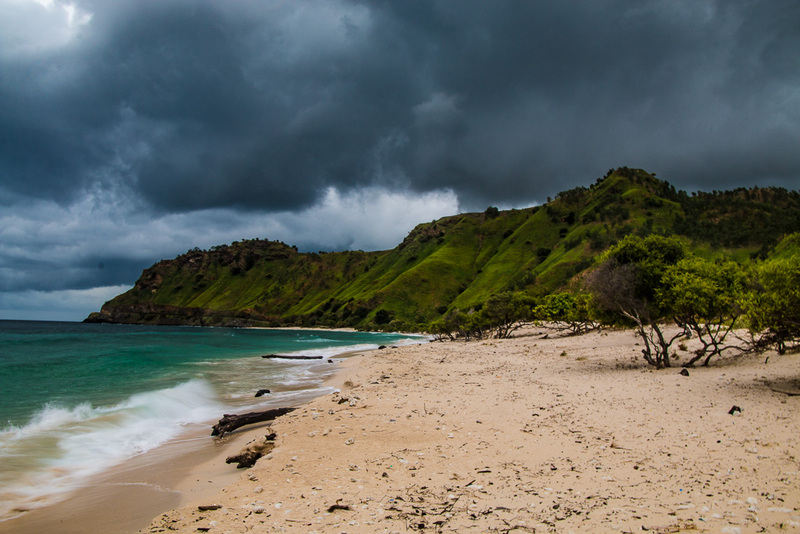 The weather can seriously affect travel plans, and should be considered carefully before choosing a time to visit Dili. East Timor experiences extreme wet and dry seasons. The wet season generally runs from December through to April, and the dry from May to November. The height of the wet season can see road closures and flooding. It can be difficult to travel around given the poor infrastructure and transport. Ferries across to Atauro Island can stop for weeks during bad weather, and the waters off the coast are murkier due to run off. The wet season also coincides with the hottest, most humid months of the year. The best time to go is the end of the dry season, when the water and coral is at its best, and large marine mammals can also be seen migrating past East Timor. The weather is cooler and the humidity has yet to become so intense. The center of Dili by the waterfront and the harbor and close to the museums are easy enough to see on foot. 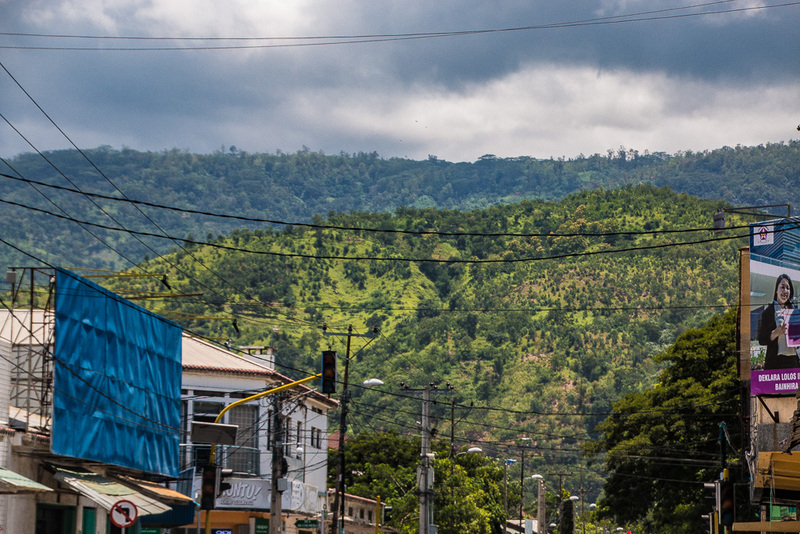 If you need to travel from one end of the city to the other, to the airport or to Timor Plaza, the main highway that cuts through Dili can easily be navigated on the local Bemos – colorful, loud and erratic mini busses that run a set route and cost just 25 cents to ride. These Bemos can easily get you out to the surrounding beaches and to Christo Rei. Taxis can be hailed around the city, but make sure to barter. A twenty-minute ride from the center to the airport will cost around USD 10 depending on haggling skills. Dili’s International Airport is just outside the city and easily accessible from the center, however, flights into East Timor are limited. There are regular flights – several times a day – to Bali, Indonesia and less regularly to Darwin, Australia. The easiest option is to fly to and from Bali. It’s also possible to cross overland from West Timor, Indonesia, by flying to Kupang and then taking a twelve-hour bus ride across the island to Dili. This route is definitely an adventure. Richard Collett is an adventure traveler who can't stop getting off the beaten track. He writes travel blogs with a dash of journalism and takes photographs along the way. You can follow his off the beaten track adventures around the world at travel-tramp.com.